One of the most challenging projects in the world is being attempted beneath one of its most densely packed cities. If it works, Mumbai will become the planet’s most crowded metropolis to build an underground subway. More than 8,000 workers and a fleet of 360-foot-long boring machines are working 24 hours a day—even through monsoon rains—to finish the 27-station, 21-mile subway through some of the world’s most densely populated neighborhoods, around the edge of one of Asia’s biggest slums, below an airport and under temples and colonial buildings to end at a green edge of forest where leopards still roam. The train is also cutting a path through the country’s religious traditions, legal system and every layer of its society, with challenges at each stop. 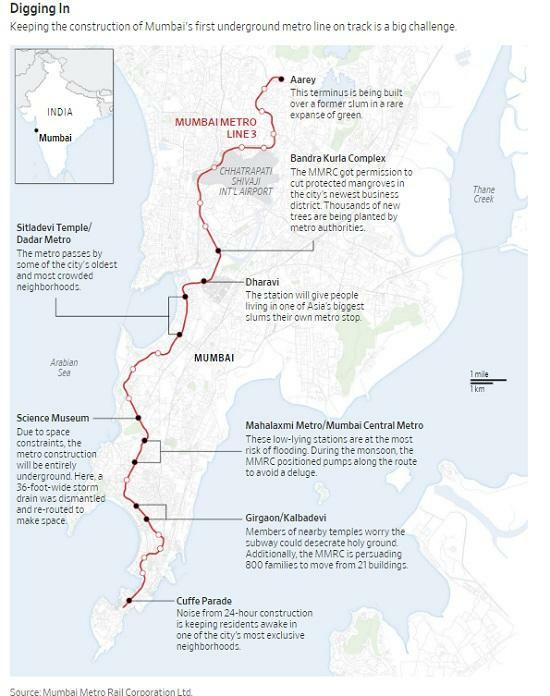 The Mumbai Metro Rail Corporation Ltd.—a joint venture between the state and central government, which is building the subway—has had to negotiate with thousands of families and businesses to get them to move and has fought residents in courts over noise, land rights and even whether the subway will sully sacred ground. Despite the difficulties, the subway, which was started in 2016, is now getting built at a pace of just over one mile a month. So far, 9 miles are complete. The $3.3 billion “Metro Line 3,” Mumbai’s first underground train, is on track to be finished and open by the end of 2021. 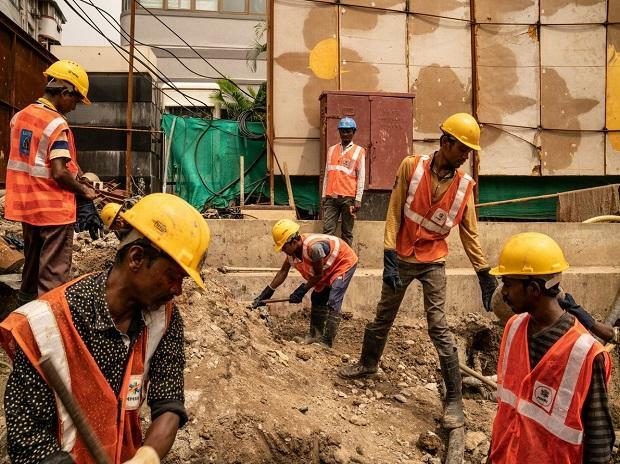 With a general election due by May, Prime Minister Narendra Modi is eager to demonstrate he is delivering even the most difficult infrastructure projects for the country’s 1.3 billion citizens. Mr. Modi said in a speech last month that by 2024 the city would have 170 miles of metro lines under and above ground. The government is “making your lives better and easier” with its metro plans, Mr. Modi said in his speech. A spokesperson at the prime minister’s office declined to comment on opposition to the metro. More than seven million commuters a day cram onto the city’s existing creaky suburban railway network. Crowding is so extreme Indian authorities describe it as a “superdense crush load”—meaning trains are often carrying almost three times their capacity. 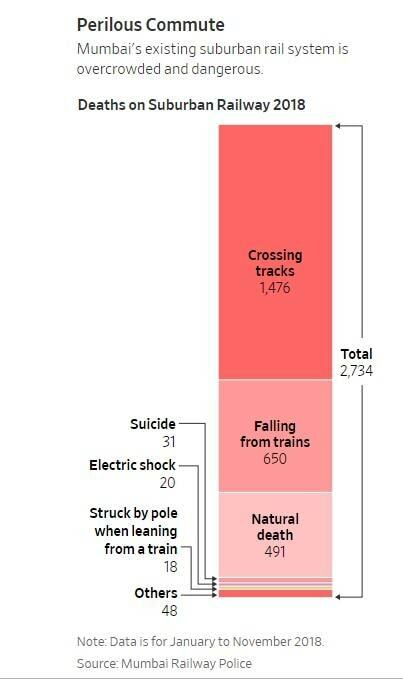 Close to eight people die a day on the network, according to rail officials. In the first 11 months of 2018, 650 passengers died falling from trains alone, and even more were killed crossing the tracks, rail officials said. The new train will be the first line to cut through the heart of the city, with air-conditioned carriages speeding around 80 feet underground, while carrying an estimated 1.6 million riders a day. The unlikely driver of this stunning megaproject is a 48-year-old woman who grew up in a small town 200 miles outside Mumbai. 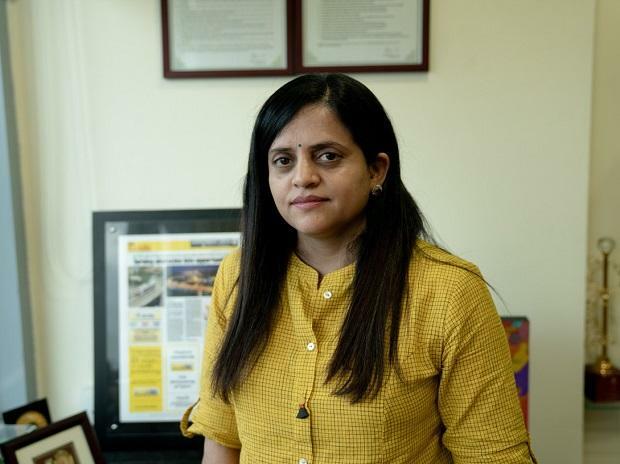 Ashwini Bhide aced the notoriously difficult civil-service exam in 1995 and rose through the ranks of Indian civil service to become one of the few women at the top. 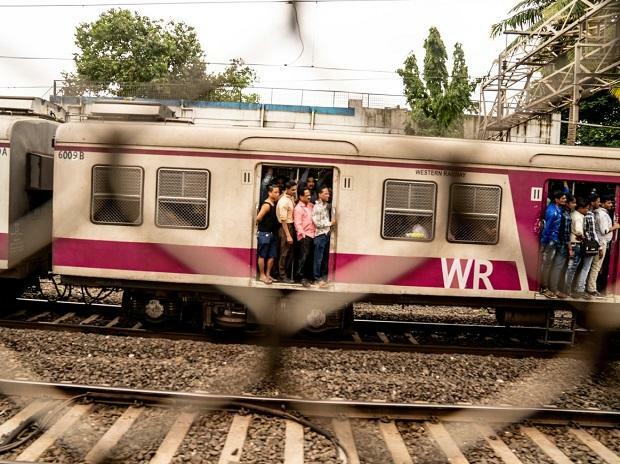 “You have to actually cut open Mumbai’s belly at so many locations and then start constructing,” said Ms. Bhide, managing director of the Mumbai Metro Rail Corporation, the MMRC. Her office shelves are stacked with awards, a rock from the metro digging and a miniature model of a boring machine. Her walls are a patchwork of maps, plans and diagrams. The city formerly known as Bombay has always been one of India’s most cosmopolitan and diverse. With a greater metro area population of 18.4 million, almost every religious, ethnic and caste community is represented somewhere along the peninsula. The city’s stock exchange BSE Ltd. shuts down to observe 12 religious holidays, including those observed by Hindus, Muslims and Christians. 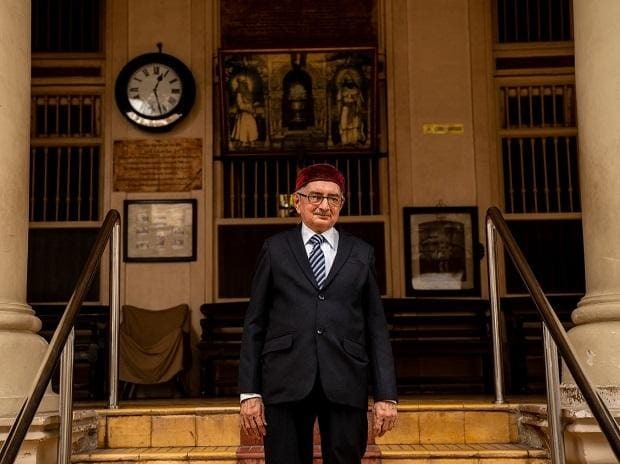 India’s tiny Parsi community of 57,000 people—descendants of the Zoroastrian religious minority that came to India from Iran starting centuries ago—are a powerful group with property and temples across the city. At the center of each temple of the 3,500-year-old religion is a holy fire that has often been kept burning more than a century. The new subway line is set to pass below two of the temples’ grounds. Only Parsis are allowed to enter the temples. Some worry the subway could interrupt prayers and desecrate holy ground, fearing that if nonmembers or menstruating women pass below while riding on it, the sanctity of the temple will be destroyed. Others are concerned tunneling and station work could damage the temples or drain wells on the temple sites. More than 50 Parsis, including priests wearing traditional white robes and hats and women wearing headscarves, turned up at the Bombay High Court during a hearing in July. The lawyer for the MMRC warned the tunnel could collapse if boring stopped for too long. After a six-month pause in tunneling near the temples, the court in November granted the MMRC permission to restart. Mr. Sukhadwalla and fellow petitioners appealed in the Supreme Court in New Delhi. Last month, it ruled that work could go ahead as long as measures were taken to avoid damage to the temples. “To rethink the alignment is virtually impossible,” said Uday Umesh Lalit, one of the judges. The MMRC has faced around 65 court cases related to the construction of the metro, about half of them still open. Among the cases are petitions about land and property rights, noise, religious freedom and from people trying to protect trees along the length of the metro line. 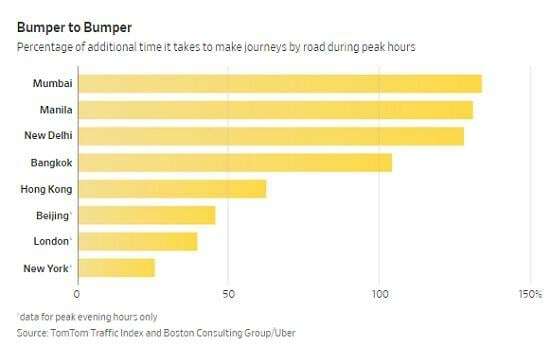 To finish the line as fast as possible, 17 tunnel-boring machines—each almost as long as a football field—are simultaneously grinding through rock below the city. To get the machines from the port and through Mumbai’s narrow roads, specialists had to divide the machines into parts and transport them on trailers. They cut off shop fronts to fit the machines down streets. The machines were reassembled underground. Only the Bangladeshi capital of Dhaka is more crowded than Mumbai, according to the United Nations. Dhaka is building an aboveground metro. Mumbai has an average of around 82,000 people per square mile, three times the population density of New York City. Ms. Bhide isn’t moving the line away from packed neighborhoods; she’s steering straight at them. “These areas, if they really need to be rejuvenated, they have to have metro connectivity,” she said. The city’s old lines will continue to exist above ground. In addition to the new underground subway, routes are also being constructed above ground. South Mumbai’s streets are lined with poorly maintained buildings put up during colonial times. The MMRC surveyed thousands of structures before construction took place, reinforcing ones in danger of falling over. When part of a rickety old building imploded in April—dropping a sleeping resident through two floors—people in the neighborhood, politicians and media were quick to blame the subway. The MMRC said construction was too far from the building to affect it. The MMRC sent teams out to convince residents the metro construction wasn’t the cause, and propped up similar buildings in the area. Ms. Bhide takes journalists to work sites, places newspaper ads and writes magazine columns explaining why the city needs the metro line. She has held public meetings, met with religious groups and appeared on TV debating about the subway. She hears the same questions over and over from residents she meets: “How will it not flood during the monsoon?” “Will construction hurt our buildings?” “Why can’t you build somewhere else?” She responds with lengthy answers, speaking slowly as she outlines minute details of the project. During the monsoon, Mumbai gets more rain in four months than London gets in three years. The June-through-September rains turn the city’s roads and railways into rivers and shut down transport, schools and businesses for days at a time. Halting construction during heavy rain is the norm, but the MMRC wanted to keep going, so it set up more than 200 pumps. As rain poured down relentlessly last summer, Ms. Bhide’s team kept an hourly watch as site managers provided live updates via the WhatsApp messaging service. The metro even lent pumps to local authorities to help keep water levels down elsewhere, Ms. Bhide said. Work only stopped occasionally for a few hours at a time because of the rain. 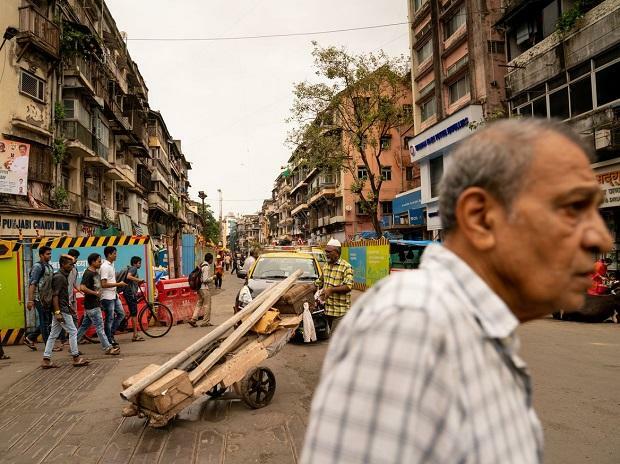 Close to half of Mumbai lives in slums—but it is also home to one of the world’s largest concentrations of billionaires. The first station of the metro is in one of the city’s most exclusive neighborhoods, Cuffe Parade, where a three-bedroom apartment can cost $1 million. The neighborhood is home to grand bungalows that have faced the Arabian Sea since colonial times. Lawyer Robin Jaisinghani’s apartment peers into the station’s crater and he says the 24-hour construction was keeping his young daughters up at night. More than once he visited the construction site in the early hours of the morning to ask them to stop. The MMRC put up a sound barrier, but sitting in his apartment, Mr. Jaisinghani said he could still hear the noise through the double-glazed German windows he had installed to block it out. He represented himself in court, saying the noise violated his constitutional right to life and personal liberty, and got an order to stop construction between 10 p.m. and 6 a.m. For more than a year, the station near his home was the only train construction site in Mumbai that halted at night. Courts ruled in August that the building of this crucial infrastructure was more important than the inconvenience of residents. Construction is back to 24 hours a day. At the other end of the line and the economic spectrum lies the final stop of the metro, Aarey Milk Colony, a rare expanse of green once known for its dairy business. The stop, and a depot for trains, is being built over an area where families lived in simple brick homes, raising chickens and farming in the surrounding government lands. Around 42% of Mumbai residents live in slums, according to 2011 census data, the most recent available, on land they don’t own and sometimes in teetering little towers. Relocating residents is a complex process. Laxmi Ramji Gaikwad, in her 70s, lived on what was officially government land. The settlement was on land that flowed into a sprawling nature reserve, home to more than 20 leopards that occasionally attack locals. In 2017, a leopard attacked and killed a child. When officials came to evict her to make way for the train, Ms. Gaikwad said she threatened to set herself on fire. She said security guards removed her possessions and destroyed her home. She finally agreed to relocate to a small apartment on the 12th floor of a government building. Her legs have swelled from inactivity since moving, she says, and she feels dizzy when she looks out the window. She has always used wood fires and isn’t sure how to use a gas stove to make tea. “I don’t know what benefit the metro will bring,” she said. The MMRC has moved more than 2,800 families and businesses along the subway route. It says all moves are “legally done under supervision of relevant government authorities after alternative accommodation is provided.” It says it helps families adjust, teaching them how to pay bills and look after their new homes. Ms. Bhide said she devours old books about how infrastructure was built during the colonial era. People died to build the railway lines Mumbaikars depend on today, she tells her team. No one has died building her subway line.